If you drive a vehicle or operate machinery where you’re required to sit for long periods of time, you know how uncomfortable it can be when the seat doesn’t feel quite right. 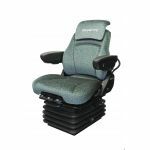 At Seat Shop Australia, we specialise in providing seats for vehicles and machinery that are a cut above the rest. We also offer tractor seat repairs for your existing seating. All our services and products are of the highest quality and delivered by a qualified and experienced team, all at the most affordable prices. Uncomfortable vehicle seating can be a niggling annoyance that can cause bigger problems later down the track. Bad seating leads to bad posture, which can subsequently cause longer-term back or neck problems. You or your employees need not suffer discomfort any longer! 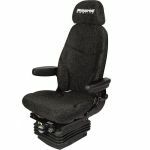 Seat Shop Australia can provide you with the highest quality tractor seat products, fitted out especially for your machine. Our friendly staff go above and beyond the call of duty to make the experience as hassle-free as possible, so you will experience minimal downtime while your seating is being installed or repaired. We are committed to customer service, and we’re confident that we can help with any seating requirements you may have. If you work in the construction, agriculture or transport industry, make good vehicle seating a priority. At Seat Shop Australia, we are your one stop shop when it comes to tractor seats and repairs. We can come to you to fit yours, or visit us at our workshop for a prompt service. If you need more information on what we can do for you and your business, check out our FAQs or give us a call and one of our friendly staff will help you out. 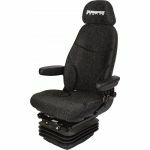 If you’ve been looking for tractor seats for sale, get yours from Seat Shop Australia today!